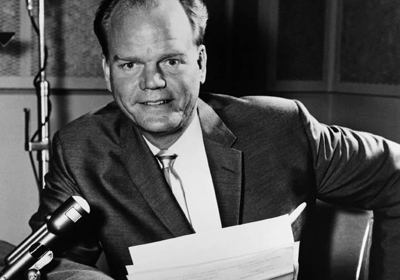 Paul Harvey was a popular radio host until 2009. In 2000, he signed a ten year contract with ABC Radio for one hundred million dollars to do a popular show called “The Rest of the Story”. Each story was true, but told unknown ends to famous stories. Harvey would end shows by saying “Paul Harvey . . . Good Day!” So let’s do a “Rest of the Story” about the church of Ephesus. As Paul walked out the door, freedom had a nice feel about it. But the Apostle Paul lived in the presence of the Lord and saw Himself as not only one called to go on behalf of Jesus but one who willing placed himself as a bond slave to Jesus Christ. During his time in prison, Paul wrote to several of the churches that he had helped start or that were having problems. So one of the first things that Paul wanted to do after being released, he set out to visit several churches that were dear to his heart. One was Ephesus, a church he had help start and to whom he had written while in prison. Ephesus, by this time, was a church dealing with internal problems that threatened to destroy the unity and ministry of the body. While still having growing Christians working together, at the time of Paul’s visit he was concerned with the growing materialism in the church, the lack of godly leaders, disorder in worship and a growing problem with false doctrine. Paul left Timothy to deal with these problems and then wrote back to encourage and inform him of how to deal with these obstacles. Since Timothy was younger than some of false teachers and leaders at the church, his leadership was challenged. By the time Paul wrote the second letter to Timothy, Paul was back in prison and knew he was facing death. He sent Tychicus to take over so Timothy could visit his father in the faith before his beheading. According to other records, John also served as pastor of the church of Ephesus after writing Revelation. As this circular letter was read in Ephesus at the gathering, those hearing the words at first may have been thinking “here we go again, someone has written to us.” Their walk with the Lord had grown a little routine and not as exciting has it had been at one time. Maybe they perked up a little when the letter mentioned the them by name. When the Lord lets them know that He is walking in the midst of them, they became to focus on what was being spoken. How comforting to know that Jesus not only was in their midst and that He was the Lord of all the church. The segments of Revelation in which the Lord directly gives them a message contained a message that He knew them so they listened as the Lord Jesus Christ commended them for what He saw as good, followed by a message condemning their wrong actions and attitudes. Some churches had no commendation while others were not condemned. Realizing what God described as their spiritual condition, the Ephesians were given a choice by God that would either bring them back closer to Him or would lead to a judgment. Whatever choice that this church made would have consequences. Nervously, the church listened as the words of the Lord were read. When they heard that the Lord was proud of them, they felt that God saw their greatness and was pleased to have them as His people. The Lord commends the church at Ephesus for three things. First, the Ephesians Christians were hard, committed workers who do things. Their lives were full of ministering to others, in our church world today we would say that they were busy “being the church” and not just “doing church”. The next good thing about the church at Ephesus was that they were solid in what they believed. They knew what the Bible taught and were able to defend their beliefs when challenged and refute the false beliefs that were inconsistent with the truth of God. Before he left in Acts, Paul called the leaders together and let them know to be alert for false teachers. Evidently, they heeded his warning. The third thing this church was commended about was that they had endured or lasted in the face of difficult times. They were not quitters. Their culture was hard but they continued to faithfully carry out what they perceived as their responsibilities. At this point, the Ephesians must have thought that they were the perfect church but then came the word “nevertheless”. It is a word of contrast. Although they had done good things, Jesus called them out on something that was important to Him. “I have somewhat against thee, because thou hast left thy first love.” Maybe they thought, somebody has lied to Jesus! We are busy serving Him. We constantly have activities at our gathering. But I think the Holy Spirit began to convict them that they had lost the correct focus. They had began to see the things of Christianity as being more important than the Lord of Christianity. So what does this look like? I think we lose the joy or glow of being a Christian. Everything becomes routine and we go through the motions. We become comfortable in our Christian walk and never are confronted with change. We also love our ability to love others unconditionally. Since we are not overwhelmed by the love of God for us and our focus turns from Him, we can’t love others the way we should. We become judgmental, critical, and full of complaints. The third area we see the lack of love for God is in how we view ourselves. We begin to think of Christ as someone who will give us all the things we want. We get upset with Him when He doesn’t and gradually find ourselves not able to worship and not able to worry about those around us without Christ. What we do for God is important because it brings attention to us. We are self-centered and consumed with what is important to us. Here we see the serious problem that takes a church from making an impact in their society to a “country club church”, a popular place of which people want to be a part, still doing religious things, but having no impact in their community. The best way to understand this is to compare this to a couple that just got married. They look at each other all the time gazing into each other’s eyes, they think about each other all the time, they want to spend time together, they seem to always be holding hands; in other words, “they’re in love”. Thank God for the marriages that stay that way. A godly husband who continues to love and cherishes his wife while having a wife whose love continues to grow with each day to the point that their children are constantly picking about their parents kissing each other. They are in love. Remember when you first got saved? If you were like me, you were constantly thinking about the Lord and what He had done for you. Reading the Bible was important, prayer often was filled with prayer and your thoughts were on Him. Then you started getting busy doing things for God and your time together suffered. You still had a relationship, stilled loved one another, but found yourself so busy that your devotion to each other cooled off. It is so easy because of all we are called to do. From running children from one activity to another, taking care of our parents who are growing older and sometimes need our attention, and being successful in our careers, we try to fill our time with God by doing something productive for Him. So here’s the choice given to us: remember how you used to love God, repent and return to the love for God like you had when you were first saved or suffer the consequences. God wants us to love Him. He desires a relationship, not because He needs it but because He knows we do. Apart from Him, we are helpless and have no purpose. So what is the consequence? God will remove our “candlestick” or lamp stand. So the church at Ephesus began to struggle with staying in love with God. Paul’s instructions in Ephesians 4 to 6, if practiced would prevent a cold heart to the love of our life. But here’s the rub, we have a human nature that struggles with dying to self. We see the activities of others and base our walk with God on how everybody walks. If not, we become a church that meets, greets and then leaves and never impacts our society. That’s why we teach our students how to study the Bible. We want them to know how to stay in love with God. Now after reading this book, you can as well. So here is the question? How is your love life with God? Fall in love with Him again, each day! Good day!